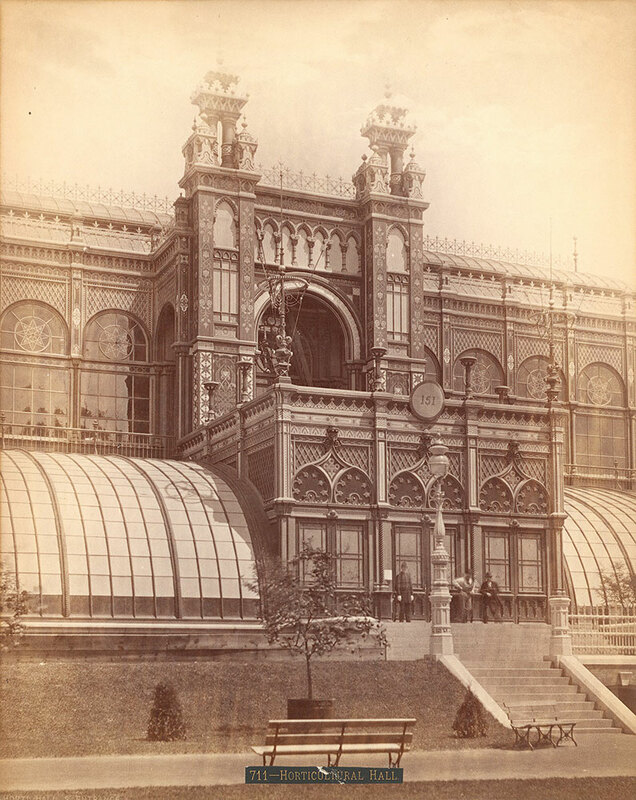 Notes: Exterior of Horticultural Hall and the greenhouse, people standing on stairway. Benches and trees in foreground. Notes: Titles on labels: Horticultural Hall, and: Hort: Hall, s. entrance.